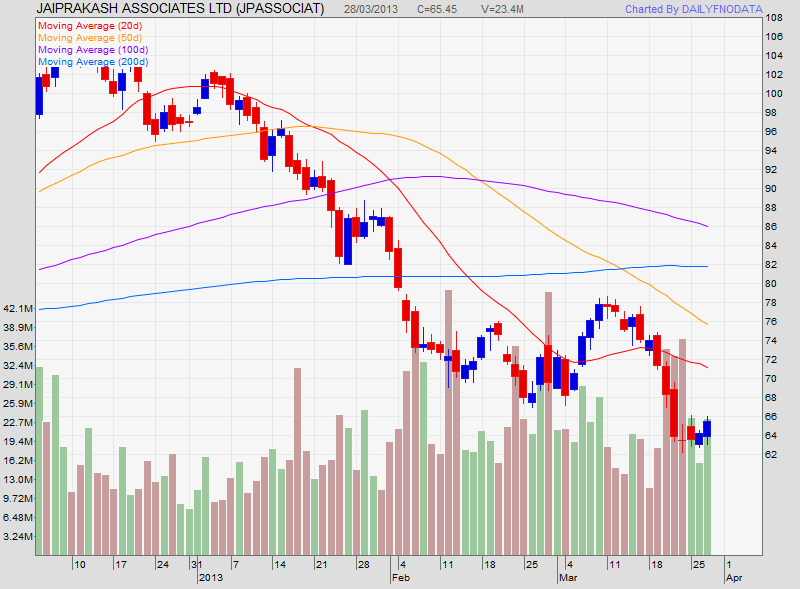 JP Associate is trading at 67.20 (at 11.08 AM) now. The stock has opened at 65.70 in the morning in NSE and traded strongly with good volume. The stock is trading firmly with the top 5 gainers of the NSE. The stock can go upto 75 in April. The resistance of the stock is at 69. Once this is crossed, the next resistance would be 72 & 75. On 28th March, the stock closed at 65.45 with a gain on intraday basis. This stock has became strong if seen for last two trading sessions. One can expect a good upside in this stock.